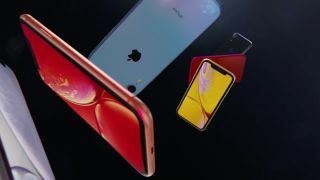 While it was the last 2018 iPhone to be released out the latest trio of Apple handsets, the Cupertino giant claims that its (relatively) affordable iPhone XR is a roaring success, selling the most number of units out of any of its phones since their launch. In an interview with CNET, Apple vice president Greg Joswiak said that the iPhone XR had been the company’s “most popular iPhone each and every day since the day it became available”. Although it wasn’t explicitly mentioned, it’s likely that the comment on the iPhone XR’s performance was in response to recent reports that Apple cut production orders on its three flagship devices – the iPhone XS, iPhone XS Max, and iPhone XR. Among the possible reasons for the XR’s success is its seemingly low price ($749) when compared to its eye-wateringly expensive siblings, which start at $999 and $1,099, making them Apple’s most expensive handsets to date. It’s also worth noting that the XS and XS Max aren’t true successors to the iPhone X but are, instead, considered refinements on last year’s all-screen flagship, which could make the XR sales seem impressive by comparison. Considering the recent statement from Apple that it will no longer share information on the number of units sold, this statement from Joswiak is the only official word we have on how any of the new iPhones are selling. Without actual figures, all we know for sure is that the iPhone XR is going out the door faster than both the iPhone XS and iPhone XS Max, but we can’t say just how fast that really is.